For Capricorn natives, Mercury is your health planet. He is a fast moving planet and in the course of a year will move through all the signs and houses of your horoscope. Your health needs will vary from month to month. So, will therapies work for you, foresees Ganesha. These changes may happen because of the variations in the position of Mercury. 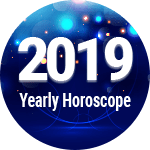 Healing can come to you in a number of different ways as is foreseen in your Capricorn 2019 health predictions. Mercury rules the Nervous System, the lungs, intestines, arms, shoulders. So, these organs need more attention than other organs. As health problems will most likely arise, you should take care of your health, especially of illnesses related to the above-mentioned body parts forewarns your Capricorn health horoscope 2019. There are several natural and other methods to protect your health and they should be explored. The year will be average for your health and well-being. You will be fit and fine for most of the months during the year says your 2019 Capricorn health horoscope. When you see a change in your health or are feeling sick, it would be advisable to go to the doctor and get yourself checked. Obese people need to control their eating habits and start exercising as soon as possible to prevent any illness. If your weight is under control, you can be prevented from unwanted diseases. Take proper care of your body, maintain hygiene and drink a lot of water as per Capricorn health horoscope 2019. However, problems like skin-related issues, indigestion, constipation, fever are likely to affect you, so you are advised to take care of your health and hygiene as per your Capricorn health horoscope 2019. Besides, you are likely to fall ill owing to changes in weather and other changes in your surroundings. Hence, you should adopt the necessary measures to safeguard yourself. Consume only healthy food and avoid eating junk food, as it can bring a number of health problems in your life alerts the Capricorn fitness horoscope 2019. Try to be stress-free, as much as is possible you can practice Yoga and Meditation. Heart patients need to be extra careful this year, focus on your diet and wellbeing. Make sure you take your medication on time. Don’t skip meals and visit your doctor according to the appointments given to you. This will help in preventing further attacks and will also help in maintaining good health. 1. According to your 2019 Capricorn health horoscope, it is better to avoid restaurant food as much as you can. If you are a heart patient, be extra careful with your medication and diet this year. 2. While traveling to other countries for business purpose, make sure you take care of your health as well. 1. If you are determined by your weight loss mission this year, you will succeed in achieving your target weight and will enjoy good health and wellbeing this year 2019. 2. With adequate exercises and proper diet, a lot of improvements will be seen in your health as per the Capricorn health horoscope 2019. Capricorn Health And Fitness Horoscope 2019 Overall rating: 4.7 out of 55 based on 948 reviews.